Educating, supporting and partnering with organizations to identify and implement the right mix of business technology that meets their unique IT and voice requirements. ATS is a technology solutions provider that partners with businesses to implement the latest enterprise networking and IT infrastructure, unified communications, cyber-security, business continuity, video surveillance and cloud infrastructure. These products and services are delivered as a proactive managed service model providing peace of mind that all critical business systems meet expectations of high availability, security and optimization. With expertise on a wide range of voice and data products, ATS Communications is a business' complete voice and data partner. Their services match the needs of small and medium size enterprises with optimized technology that provide best practice solutions which creates a competitive advantage and makes a positive impact to the client's bottom line. With over 40 years of experience, ATS has gained an excellent reputation for designing, implementing and proactively supporting solutions that focus on converging voice and data applications and has been recognized for outstanding performance by several of the industry's top manufacturers. These credentials have allowed ATS to grow and partner with businesses throughout Northern California and across the United States. ATS has three California offices located in Concord, Sacramento, and Redding. For more information, call their corporate office in Concord at (925) 602-1500. 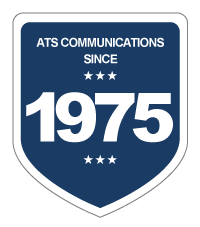 Founded in 1975, ATS Communications is committed to establishing lasting business relationships with our clients. ATS operates in three offices throughout Northern California, under the same ownership, to develop complete, customized communications packages. Extensive technology and service experience allows our team to develop a comprehensive understanding of your unique communication needs, and respond to those needs quickly and efficiently. ATS is uniquely positioned to be your single source for all of your voice and data needs. ATS recognizes the critical need for small businesses to work with a company that can act as a true technology partner. That partner is ATS as we combine leading technology with top quality service and support. Our position as an industry leader is based on these principles, and on our commitment to lead a rapidly changing industry. We enable each system to migrate with our customer's changing needs, working to eliminate "forklift" upgrades and protecting your investment. In practicing long-term communications management, we build successful business relationships. We continue to assist clients in creating competitive advantage through implementing working technology plans. These plans are continuously evaluated and revised to accommodate an ever-changing industry. ATS recognizes the importance of building technology around people, not people around technology. Multi-location applications are our specialty. Our unique understanding of national and government accounts enables ATS to institute a standardization process that many multi-location companies desire. As an industry leader, ATS has cemented lasting partnerships with all of the manufacturers we represent. We have developed strict guidelines to implement successful national account programs. Technology implementation is only successful if it works for you and achieves greater profitability. Converging voice and data on a regional and national basis facilitates your internal and external communication needs. ATS can provide a good solution, acting as a single point of contact for all of your communication needs. Our enterprise technology structure enables us to provide multi-service solutions including voice, data, and even video. ATS has built a team of voice and data specialists committed to your satisfaction. Our technical staff undergoes rigorous factory training along with on-premise weekly training, and is kept current with the latest product and service innovations. Installation and training personnel maximize system performance. We work with you to achieve optimum user convenience and operational efficiency. Our goal is to provide the best mix of product, service, and support that is realistically available in the marketplace. Our mission is to educate, support and partner with professional organizations to identify and implement business technology that meets their unique IT and voice requirements by providing comprehensive solutions utilizing the appropriate mix of IT infrastructure, virtual technology and services, proactive management, continuity and security, and carrier. These best practice, value added offerings are to be provided by friendly, highly-trained professionals at competitive prices that are supported by exceptional ongoing customer service resulting in long lasting mutually successful client relationships. © 2019 ATS Communications, Inc.